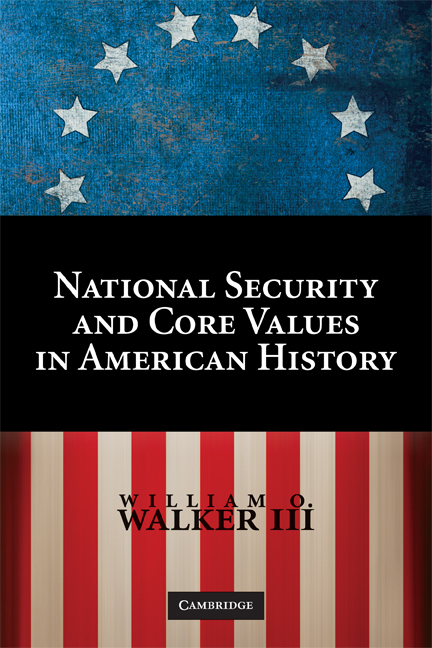 Writing for the History News Network, William O. Walker, author of National Security and Core Values in American History explains why, for the last century, American “security” intellectuals equated defense with the projection of power abroad. On September 14, President Barack Obama rejected comparisons between Afghanistan and Vietnam. He staked out his position even while considering whether, at the behest of Gen. Stanley A. McChrystal, to increase both U.S. troop presence and counterinsurgency operations in Afghanistan. Although Obama averred it is not so, Afghanistan is another Vietnam, just not in the way he and most Americans might imagine. Afghanistan is another Vietnam because the deployment of troops there or the training and use of proxy forces are presumed to be vital to the nation’s security. In that regard, Afghanistan is also another Iraq or, interchangeably, El Salvador, Nicaragua, the Caribbean, Cuba, and the Philippines. What these far-flung places, and the many lands where U.S. forces are currently stationed, have in common is a prominent role in the nation’s history as a world power. Since the 1890s, American policymakers and those we might call “defense” or “security” intellectuals, have reflexively equated security with the projection of power abroad. Obama is no different as he indicated in his August address to a Veterans of Foreign Wars meeting in Phoenix, calling Afghanistan “a war of necessity” that “is fundamental to the defense of our people.” One can almost hear Woodrow Wilson musing, as he dispatched troops to the Caribbean and Mexico, “We will teach them to elect good men.” The elusive promise of self-determination in the context of military occupation has long been a central justification for seeking security through engagement abroad. Even skeptical commentators like conservative George Will and liberal Nicholas Kristof cannot conceive of a complete exodus from Afghanistan. There remain enemy targets to attack and, for some like Democratic Senator Carl Levin of Michigan who recently undertook a fact-finding mission to Afghanistan, there is a nation to be built—as was the case in Vietnam and many other places as diverse as those mentioned above. 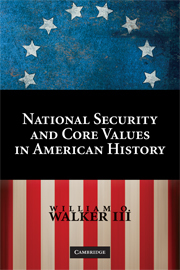 What are we to make of this American way of engaging the world, a foundational belief best termed a “security ethos”? One thing is certain: Obama shares it with virtually all his predecessors from William McKinley through Franklin D. Roosevelt and on to George W. Bush. During his campaign for the presidency, he noted: “I have enormous sympathy for the foreign policy of George H. W. Bush.” Put simply, the security of the United States depends to a great degree on a military presence or, since the early years of the cold war, clandestine activities in foreign lands accompanied by an often unrealized promise of nation-building.